For 2019, Stewart-Haas Racing has big changes on the way. Daniel Suarez will move to the #41. Beyond that, the bigger change is the switch to the Ford Mustang. Clint Bowyer won two races in 2018. However, he came up just short of placement in the Championship 4 in Homestead-Miami Speedway. Beyond changes within the team, the sport is set for swift changes across the board. Tapered spacers to create less horsepower and bigger spoilers to create more downforce. The cars will be slower at a bulk of 1.5-mile tracks. But, the will also be less sensitive to dirty air which should create better racing. “To be dead honest with you, generally speaking, I don’t know what to expect,” Bowyer said. “Looking forward to the test next week, as I said, but definitely looking forward to once you get out of Daytona 500 — Daytona is always going to be Daytona,” said the two-time 2018 winner. Bowyer says he “didn’t have much of an opportunity to get to know (him) a lot” prior to now. Clint is known to be energetic. Kevin Harvick regularly says that Bowyer walks in circles. 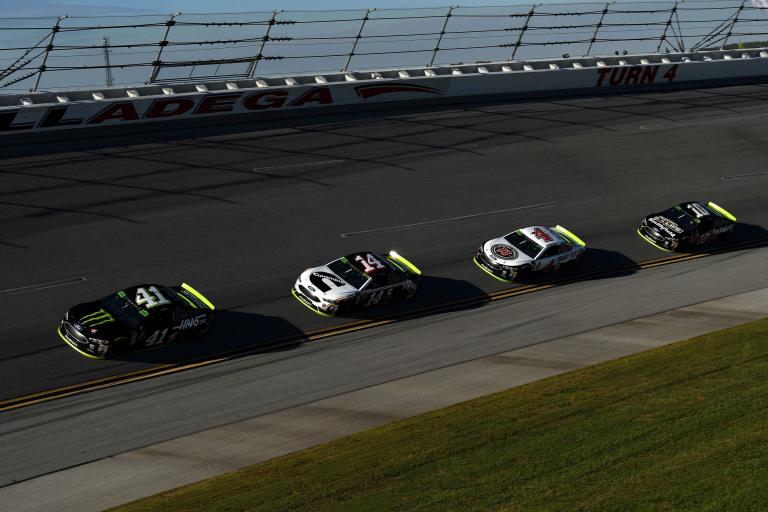 Stewart-Haas Racing has four bullets in the stable. In 2018, all four of them made the championship rounds. Two of them advanced into the final round. “The strength comes with numbers in our sport, and having four cars is such a powerful thing; the difference that Aric Almirola brought in and making that fourth car real … ” Bowyer continued. 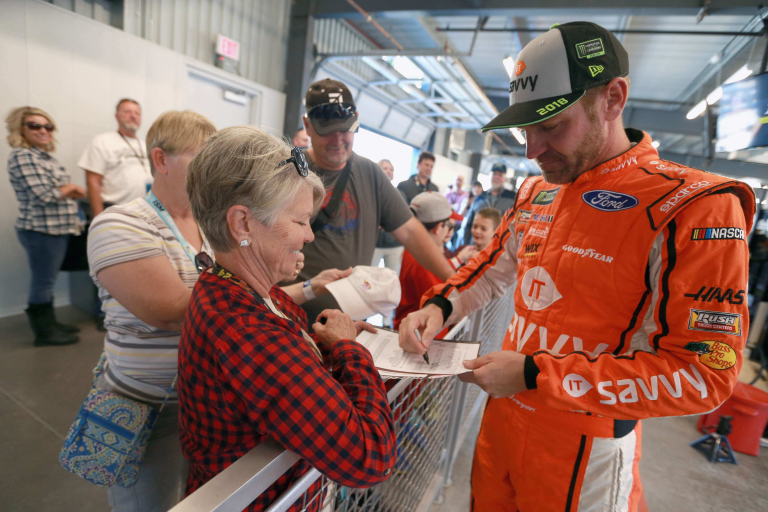 NASCAR star Clint Bowyer has something else going on outside of the NASCAR world. Next week, the 2019 Lucas Oil Late Model Dirt Series season begins. A swing of events at Golden Isles Speedway, East Bay Raceway Park and Bubba Raceway Park get the season started. The dirt late model team has seen a driver change over the off-season. 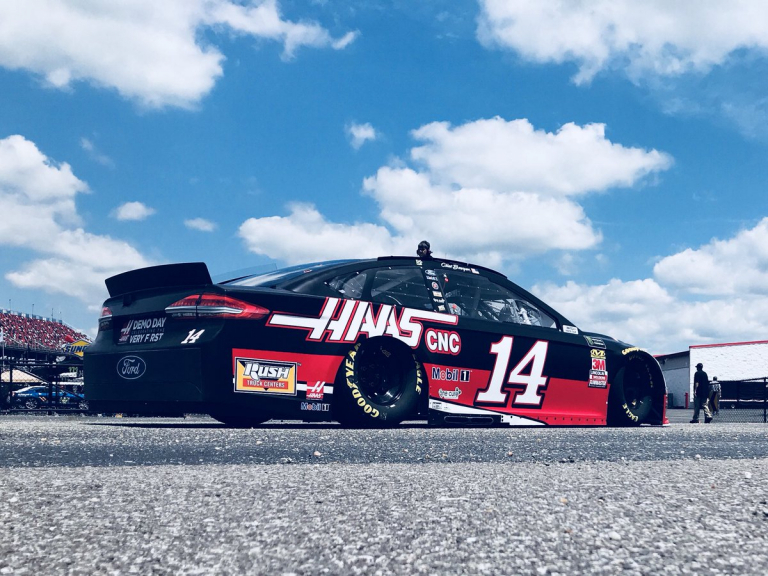 Clint Bowyer Racing welcomes Josh Richards to the #14. In addition, Don O’Neal will have a very different look as the season begins. 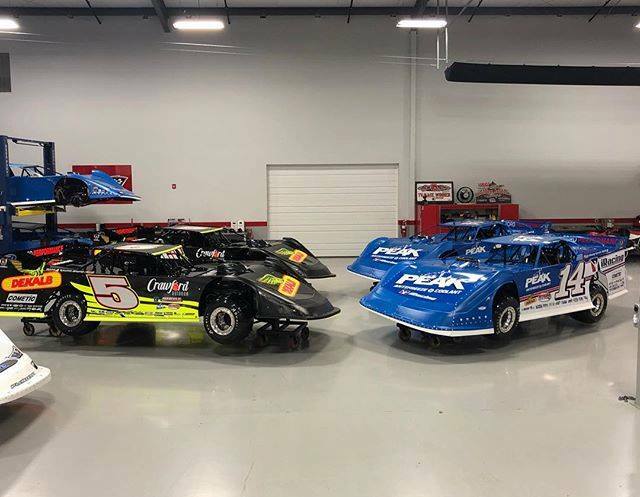 On top of that, Clint Bowyer Racing has made the switch to Rocket Chassis. This week, several Rocket Chassis machines traveled to Ocala, Florida. They unloaded at Bubba Raceway Park for a test session. Track owner Bubba Clem was on hand and took a brief video of the test session. Watch the Bubba Raceway Park testing videos below.